You are here: Home / On Target Training, LLC. Seth Wish is the founder of On Target Training, LLC. An accomplished marksman and passionate firearms enthusiast, he has spent thirty years developing his skills as a shooter and instructor. He has trained hundreds of responsible citizens in the safe, practical use of firearms. In addition to his normal classes, he worked as an instructor with several NH Emergency Response Teams. Seth has attended and completed multiple training classes across the country; Including the Sig Sauer Academy, the American Small Arms Academy, Defense Associates, Trident Concepts and Todd Green’s Pistol Training. 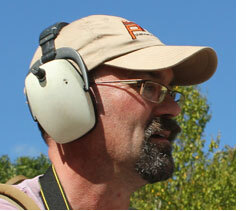 A life member of the NRA, he is also a NRA Certified Pistol Instructor and Range Safety Officer. For more information contact Seth Wish swish@on-target-training.net.